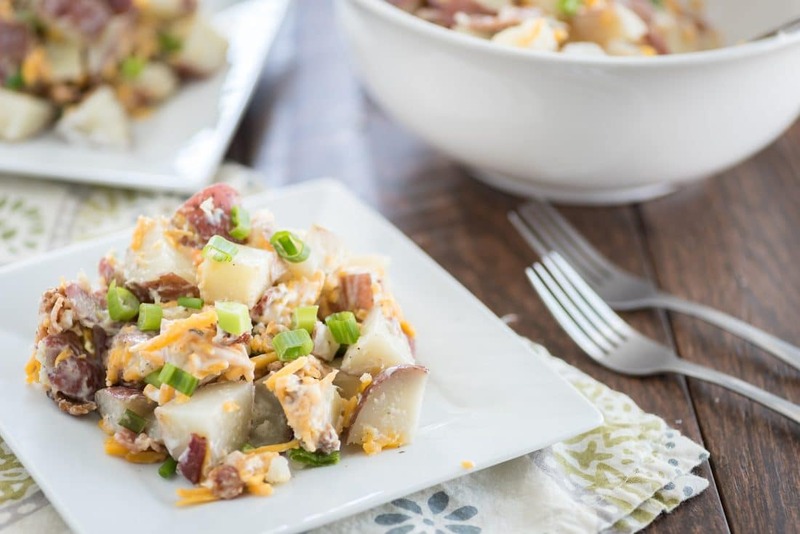 Be the hit of the party when you bring this delicious bacon ranch potato salad recipe! It’s easy to make and loved by everyone. Summer picnic and BBQ season are here and I couldn’t be more excited! Bring on the watermelon, mac and cheese, grilled hot dogs and all the potato salad I can eat! 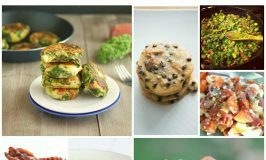 Speaking of amazeballs potato salad recipes, boy oh boy do I have a doozy of a recipe for you? 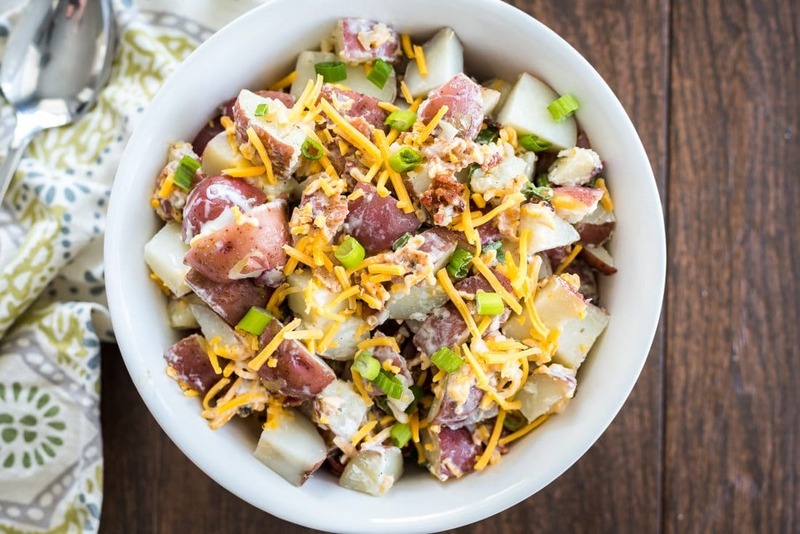 How do you improve the wonder that is potato salad??? Why, with bacon and ranch, of course!! 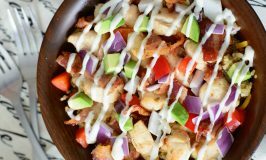 We all know everything is a zillion times better with bacon, then you add some creamy ranch dressing and BAM! you have a mouthful of pure bliss. 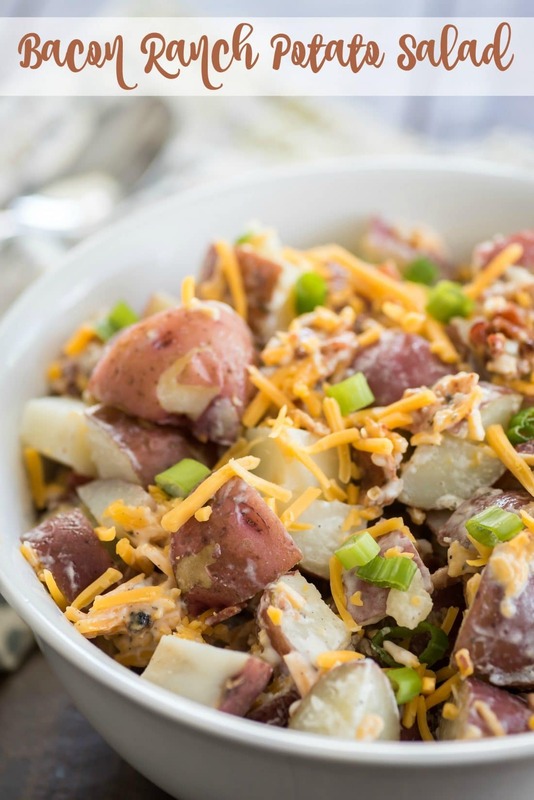 This Bacon Ranch Potato Salad recipe is sure to be a HUGE hit at any BBQ or picnic you take it to. I know my family and friends LOVE it! 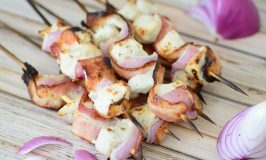 Ready for the recipe so you can be the hero of your next summer get together?! Use a slotted spoon to scoop potatoes and place them in a bowl to cool. 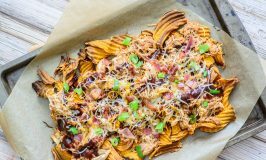 Once potatoes are cooled add in ranch, cheddar, bacon and green onions. Toss to coat then season with salt and pepper to taste. Delicious, right? 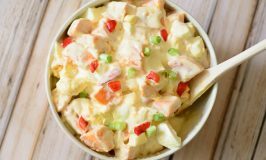 I even put together a little video just so you can see how easy and delicious this potato salad recipe really is. 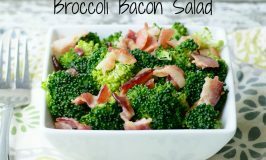 Best Paleo Bacon Recipes on the Planet!